The hot air balloon is the oldest successful human-carrying flight technology. It is in a class of aircraft known as balloon aircraft. 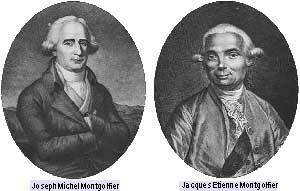 On Nov 21, 1783, in Paris, France, the first untethered manned flight was made by Jean-François Pilâtre de Rozier and François Laurent d’Arlandes in a hot air balloon created on Dec 14, 1782 by the Montgolfier brothers. Hot air balloons that can be propelled through the air rather than just being pushed along by the wind are known as airships or, more specifically, thermal airships. A hot air balloon consists of a bag called the envelope that is capable of containing heated air. Suspended beneath is a gondola or wicker basket (in some long-distance or high-altitude balloons, a capsule), which carries passengers and (usually) a source of heat, in most cases an open flame. The heated air inside the envelope makes it buoyant since it has a lower density than the relatively cold air outside the envelope. 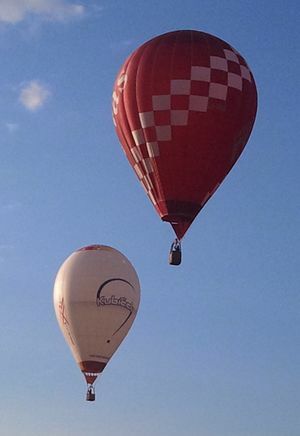 As with all aircraft, hot air balloons cannot fly beyond the atmosphere. Unlike gas balloons, the envelope does not have to be sealed at the bottom since the air near the bottom of the envelope is at the same pressure as the surrounding air. In today’s sport balloons the envelope is generally made from nylon fabric and the mouth of the balloon (closest to the burner flame) is made from fire resistant material such as Nomex. Beginning in the mid-1970s, balloon envelopes have been made in all kinds of shapes, such as hot dogs, rocket ships, and the shapes of commercial products, though the traditional shape remains popular for most non-commercial, and many commercial, applications.